Tadaaaah! Look who's coming to Cebu to gather all the girls and to have fun on a weekend. Now on its 2nd year, Cosmo Fun Fearless Life is Cosmopolitan Philippines’ life inspo event that teaches Cosmo girls to dream big, live big, and start NOW. 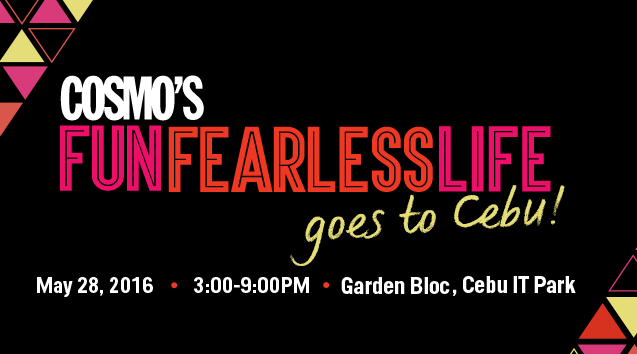 This year, we’re bringing the Cosmo Fun Fearless Life event to Cebu! Book your calendars, CGS! The event will be on May 28, 2016, Saturday, from 4 p.m. to 9 p.m. at the Garden Bloc, Cebu I.T. Park. This event is co-presented by Avida, with Skin White as our major sponsor. At the main event, expect to meet the Cosmo editors and our handpicked fun, fearless females who are making waves in their own fields. Cosmo.ph EIC Jillian Gatcheco will be hosting the event and she will be joined by the queen of everything fun and fearless, Cosmopolitan Editorial Director Myrza Sison, who will be talking about the transformative power of beauty. Aside from our editors, the Cosmo team will be flying in renowned fashion and beauty photographer Shaira Luna, former Candy Magazine editor-in-chief and author of “In Case You Come Back” Marla Miniano one of my favorite authors, and celebrity stylist Kat Cruz (her clientele includes Kim Chiu and Nadine Lustre!). Expect Cosmo cocktails to be served throughout the event as you listen to these fun, fearless females who will talk about how through their passion, they never had to work another day in their lives. P.S. Get ready to be pampered with services from our event partners (nails, kilay grooming, and hair styling on us!) and spend your afternoon the Cosmo Way. YAY! This is exciting. 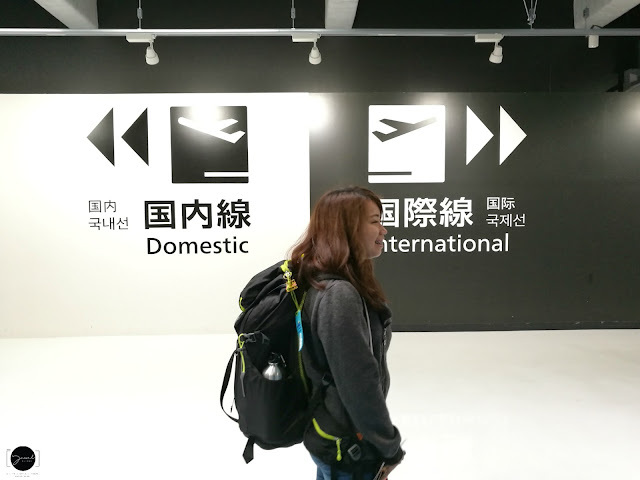 I will be going with my friends. Nice! A lot of fun!